I’m sure you people of the internet have heard of Minecraft, the incredibly popular sandbox experience which allows one to build and explore to their heart’s content. Well, add one more item to that description: a mod paying homage to the Legend of Zelda franchise! 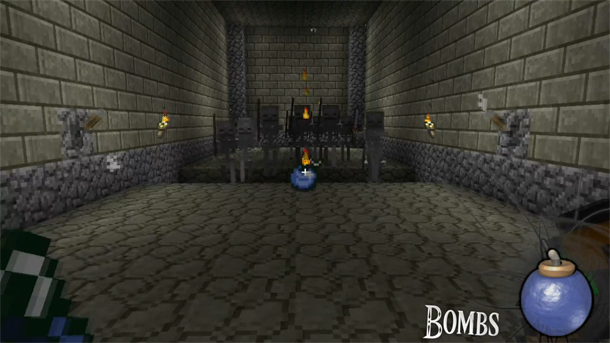 This mod currently boasts five dungeons inspired by the seminal A Link to the Past and Ocarina of Time; with such inspiration under its belt, it’s got to be good. I have downloaded this mod and you can see initial impressions as well as the official trailer after the jump. Feel free to try this modification out and give your own impressions and comments. 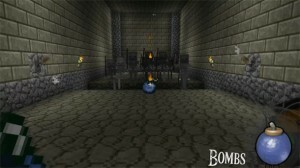 You can find the download link at the official Minecraft Forums. P.S. Be advised, I did experience a few bugs in my time with the game: some chunks refuesed to load properly, potentially spoiling the inside of a dungeon and outside area; in addition, the boss music continued to play following the battle in the Forest Temple, which served to detriment the atmosphere ever so slightly. Both issues however, were rectified upon restarting the AdventureCraft client. So for those of you who have tried out this modification, what did you think? Does it actually feel Zelda-ish? Could they have done more with it? Let us know in the comments below.